I’m going to be an auntie for the second time later this year(I”m sooo excited) and I’ve been looking around for invites for my sister’s baby shower that I will be hosting later on this year. Have you heard of minted.com? They are a global community of independent graphic designers and an online store that sells the best of the designs in their paper goods. They have everything from boy baby shower invitations to customizable children’s arts prints, wedding invites and more. 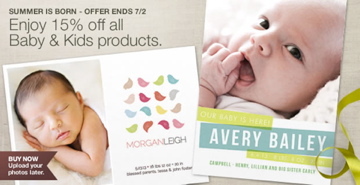 All you have to do is head over to Minted.com and let me know what you would like to use your credit on. That’s it! Giveaway ends on Saturday, July 8th at 11:59pm. Winner will be chosen at random. Good luck! Disclosure: This is a compensated post. However all opinions are my own. Last month I had the opportunity to attend a media event for a local organization that was founded to help support families that have lost a baby or babies during pregnancy or infancy. The OC Walk to Remember was founded by Krystin Von Rotz, who also happens to be a friend of mine, after the loss of her Joseph at birth. The foundation supports local hospitals and loss support groups by providing grieving parents with memory boxes and other helpful information. The luncheon and press conference was held at the Orange Doubletree Hotel and honored the major sponsor of the walk this year, The Honest Company, co-founded by Jessica Alba and hospitals that support grieving parents. Jessica Alba was on hand to talk about her support for the organization and to also share about the Honest Company, which makes natural and eco-friendly products for infants and toddlers. The work that the OC Walk to Remember is invaluable. I don’t know much about loss but I do know that many that have suffered it don’t know where to turn or who to talk about it to. The OC Walk to Remember works to help the grieving families and provide information, referrals and those precious memories to keep their sweet babies short memories. 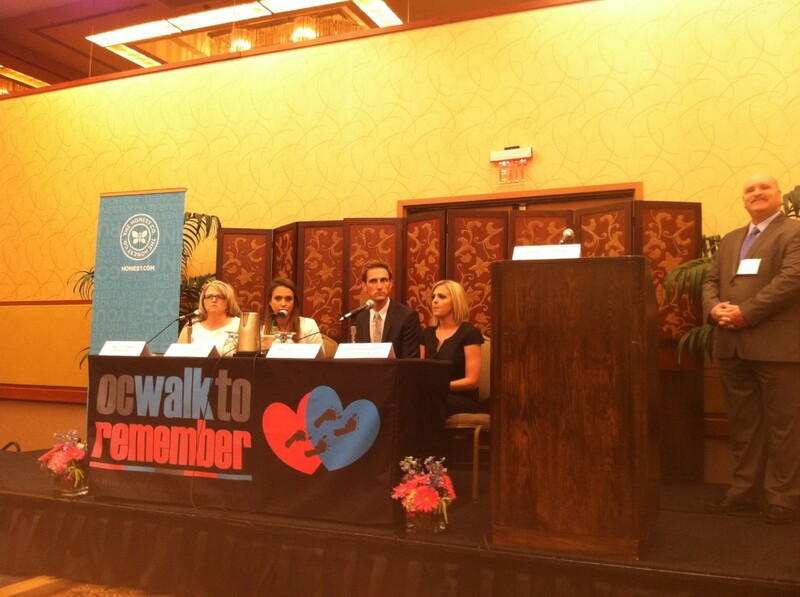 The OC Walk to Remember will take place this year on Saturday, October 6th at the District at Tustin Legacy. For additional information about this great organization, to register for the walk or to volunteer for this great cause head here. My kiddos loved this treehouse! We literally had to tear them away. Last month, we were home on a weekend with no plans. 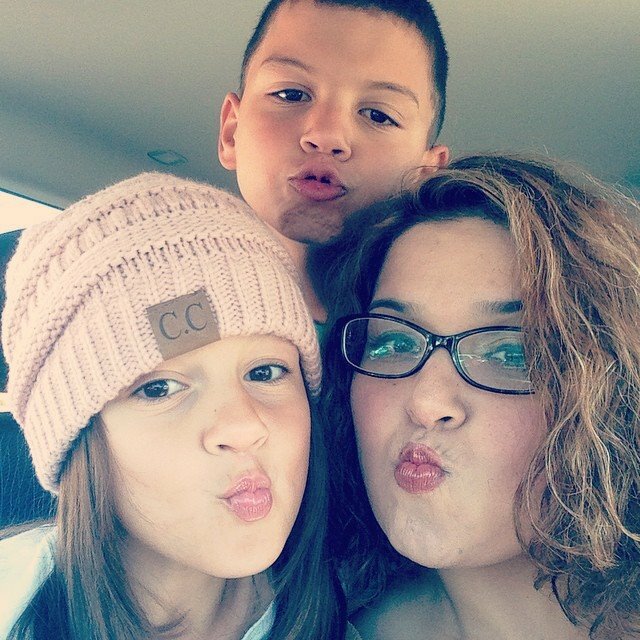 We were looking for something to do as a family and my husband suggested that we visit somewhere mellow, where the kids could have fun and that wasn’t too far of a drive. He said do you know of any place that has a childrens’ gardens? I knew exactly the place we had to visit, the San Diego Botanic Garden in Encinitas. I had written about the Free Admission the first Tuesday of the month before but I really wanted to check it out for myself. I could sit by the waterfalls forever! 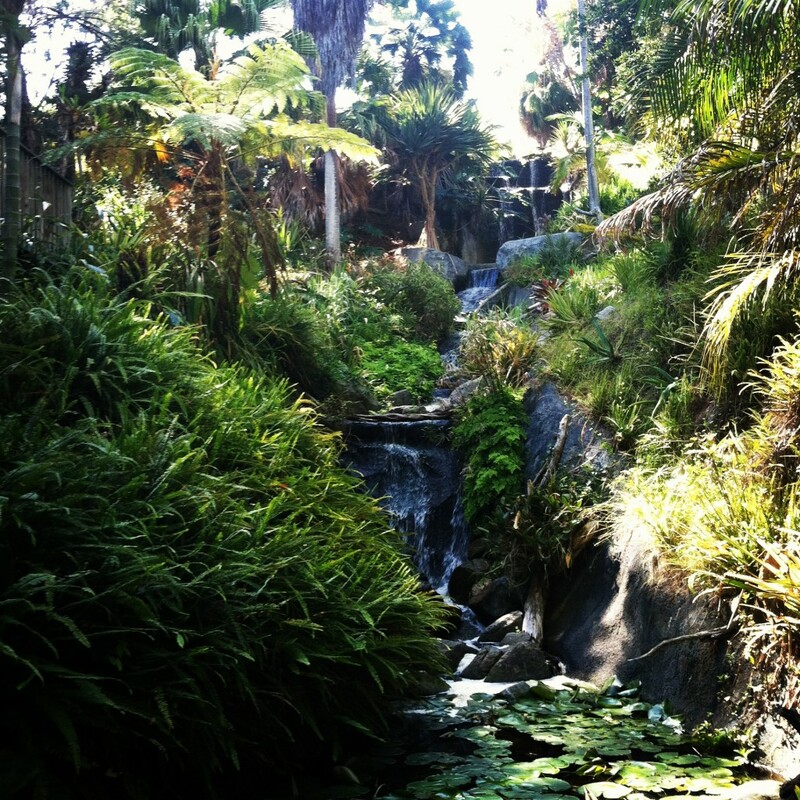 The San Diego Botanic Garden is a little slice of heaven in Encinitas. This 37 acre garden will transport you from a variety of climates. In one part of the garden you could be walking through drought resistant shrubbery and a short walk away be transported to a tropical rainforest.The San Diego Botanic Garden features numerous exhibits, including rare bamboo groves, desert gardens, a tropical rainforest, California native plants, Mediterranean climate landscapes, succulent gardens, an herb garden, firesafe landscaping, a subtropical fruit garden, and native coastal sage natural areas. It is a great place to unwind and relax. It’s also a fantastic place for the kiddos. 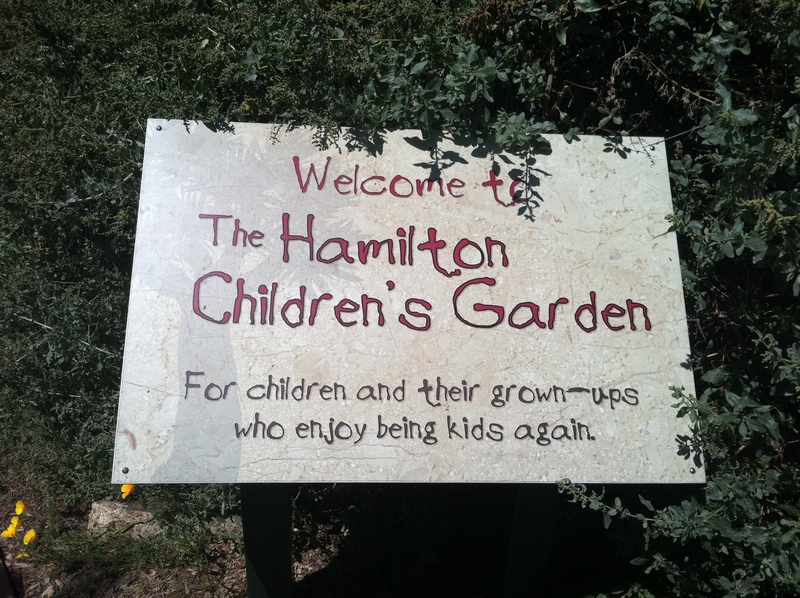 The Hamilton Children’s Garden opened in June 2009 and is currently the largest interactive children’s garden in the West Coast. Let me tell you, it is so much fun! My kiddos absolutely loved the place. 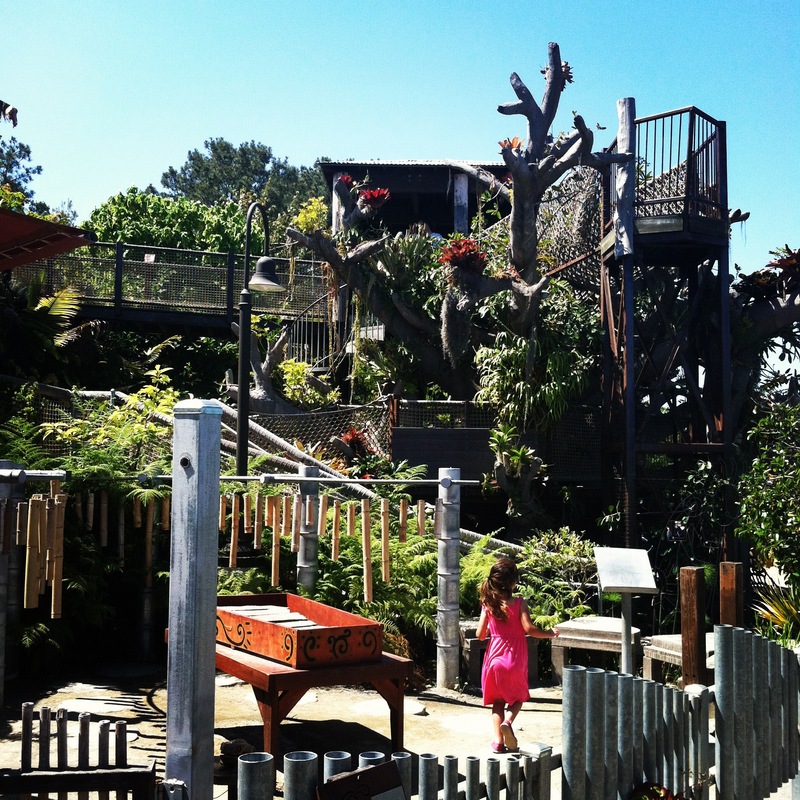 The kiddos will love exploring Toni’s Treehouse or making some music at the Garden Rhymes exhibit. Everything in the Hamilton Children’s Garden is designed for little people. It’s an outdoor wonderland! 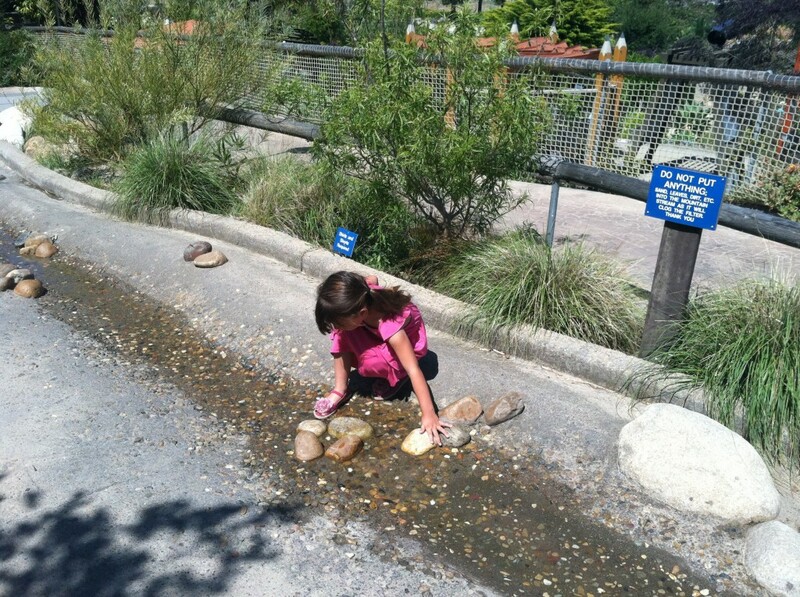 My daughter loved the mountain stream area. The kids also had a blast exploring the mountain stream area and the Earth Builders area. It’s the kind of place where kids have a great time exploring and learning hands on and fall asleep they minute they get in the car. 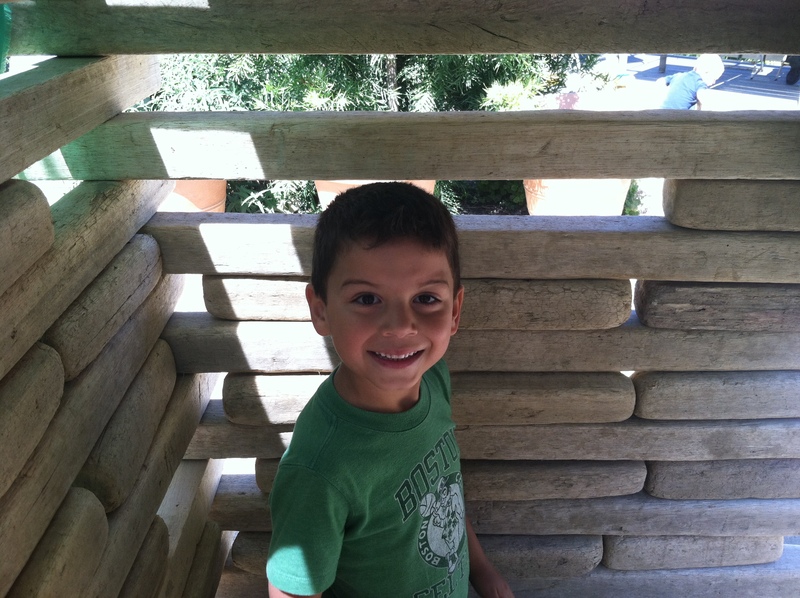 The San Diego Botanic Gardens is the kind of place to make great memories and have good ole fashioned fun playing and learning all at the same time. The San Diego Botanic Garden is open daily from 9am to 5pm. It is closed on Christmas and New Year’s Day. Summer extended hours are available on Thursdays until 8pm. The Garden is Free on the first Tuesday of the month. Tuesday, July 3rd is the next Free day offered. Admission to the garden is $12 for adults, kids 3 to 12 are $6. Parking is $2 and if there are 4 or more people in the car the parking fee is waived. For additional info head here. This entry was posted in Uncategorized and tagged Children's Garden, Encinitas, Free Admission to the San Diego Botanic Garden, San Diego Botanic Garden, San Diego Kids, Things to do in San Diego with kids.